His owners say he had shown signs of heart problems ever since his "best friend" - a dog called Buddy - died in 2017. 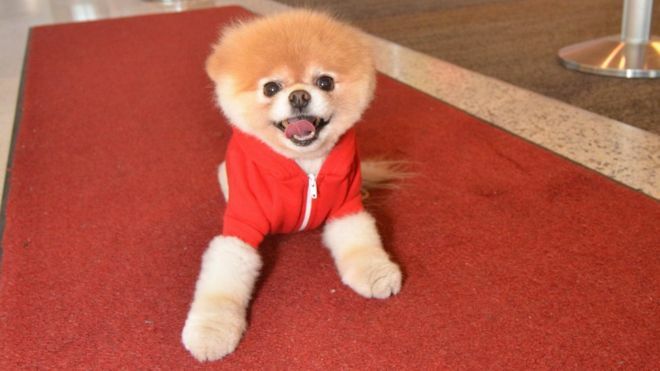 Boo had 16 million followers on Facebook, made TV appearances, and even released a book called Boo - the life of the world's cutest dog. Boo and his friend Buddy had lived together for 11 years - before Buddy passed away in September 2017 at the age of 14. His owners, who are from the US, say Boo passed away in his sleep early Saturday morning and they were "heartbroken". His owners went on: "Boo, we love you with all our hearts and will miss you until the day we meet again. His owners said they'd received many notes over the years from people sharing their stories of how Boo "brightened their days and helped bring a little light to their lives during difficult times". "And that was really the purpose of all this...Boo brought joy to people all over the world."